News have spread about a certain earthquake to hit the country anytime soon. Now you find yourself getting all paranoid about every detail of your condo building, asking people, turning to social media, or googling more terrifying news. But then again, is being paranoid necessary if you’re aware of how an earthquake really occurs? At this time and age, earthquakes and its impacts are still impossible to predict. Intensity and Magnitude can only be studied after an earthquake occurs. A predicted Magnitude or Intensity is considered an assumption based on studies and calculations of past earthquake occurrences. Just very recently, some hoax about an earthquake that’s said to hit the Philippines made an outcry in social media. Phivolcs has already given a statement regarding this saying, “There is no technology in the world that can reliably predict the occurrence of earthquakes.” They also noted that the high number of casualties in the recent Nepal quake was caused by poorly-built infrastructure. Magnitude is an absolute measure of an earthquake’s strength. It measures the amount of energy released by the earthquake. Intensity, on the other hand, describes the degree of shaking caused by an earthquake at a given place, which decreases if the location is far from the epicenter. In this regard, an earthquake with the same Magnitude can have different degrees of Intensity in different locations for the same quake. It is a common misconception that locations near a fault line are the ones that will be severely damaged by an earthquake. A fault line is a fracture in the ground that occurs when the Earth’s tectonic plates move or shift. According to nationalgeographic.com, impacts of earthquakes along fault zones are usually gradual and unnoticeable on the surface. However, if immense stress is build up in between the plates, it can send massive vibrations (also called seismic waves) through the rock, up to the surface. Other quakes can occur far from fault zones depending on the plates’ movement. Types of soil also affects an earthquake’s impact as there are types that filter to decrease its strength, and other types that intensify it. All DMCI Homes communities are designed and studied by Structural Engineering Experts before, during, and after construction. Structural Engineers see to it that all our structures will be able to withstand stresses and pressures through environmental conditions like earthquakes, and human use. They ensure that these structures will not deflect, rotate, vibrate excessively or collapse when disasters happen, while measuring the ability of the building to remain stable and secure through time. These structural engineers design DMCI Homes structures in compliance with the parameters set by the National Structural Code of the Philippines (NSCP). All structures are also certified to conform to the code requirements of the Philippine Institute of Volcanology and Seismology (Phivolcs). Before acquiring land for development, a soil investigation will first be conducted. Results are then passed on to geotechnical experts, who will recommend the capacity of the soil to the structural designers. All residential developments of DMCI Homes are finally reviewed by third-party consultants abroad who work with the local engineers on record. 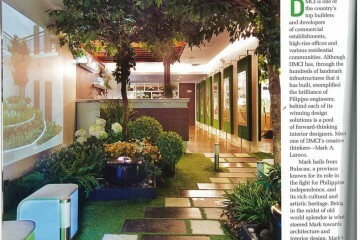 All these form the basis of the structural design of the buildings in all DMCI Homes developments. According to studies conducted by structural engineering firm MACRO Consulting Structural Co., all DMCI Homes structures are constructed to withstand the maximum recorded magnitude in the Philippines. 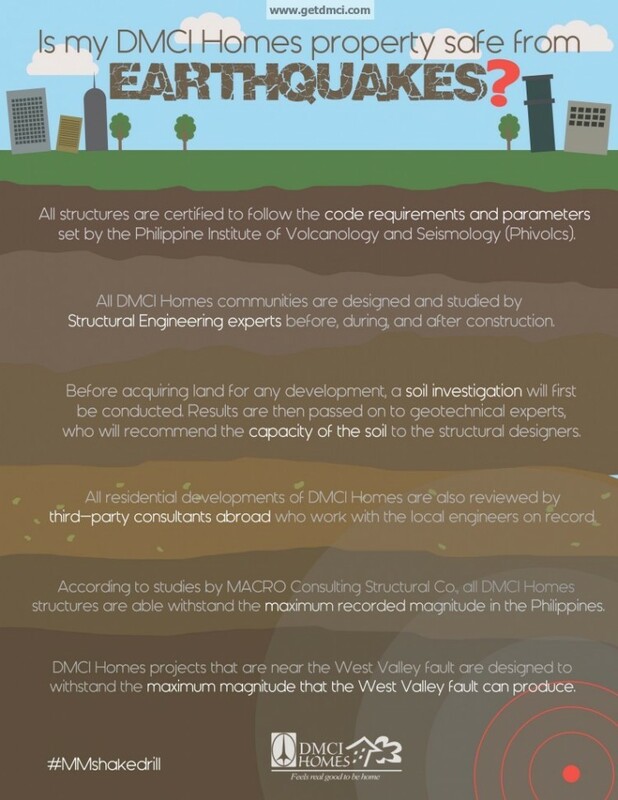 All DMCI Homes projects that are near the West Valley fault are designed to withstand the maximum magnitude that the West Valley fault can produce. High rise buildings are naturally designed to be ‘flexible’ once an earthquake occurs. This type of buildings sways gently at the movement of an earthquake, as a response to the frequency an earthquake unleashes. Nevertheless, all DMCI Homes structures, High Rise or Mid Rise, have passed all structural design codes and parameters to ensure its stability to withstand disasters like earthquakes. Buildings and structures, may it be properly designed or not, can never be ‘earthquake-proof’, even professional Geotechnical Engineer Brian Tan confirms this. However, well-designed buildings that are able to withstand earthquakes are believed to be ‘earthquake resistant’. DMCI Homes, being a builder-developer that performs all structural, civil and architectural works of every project in-house, can assure you of this. 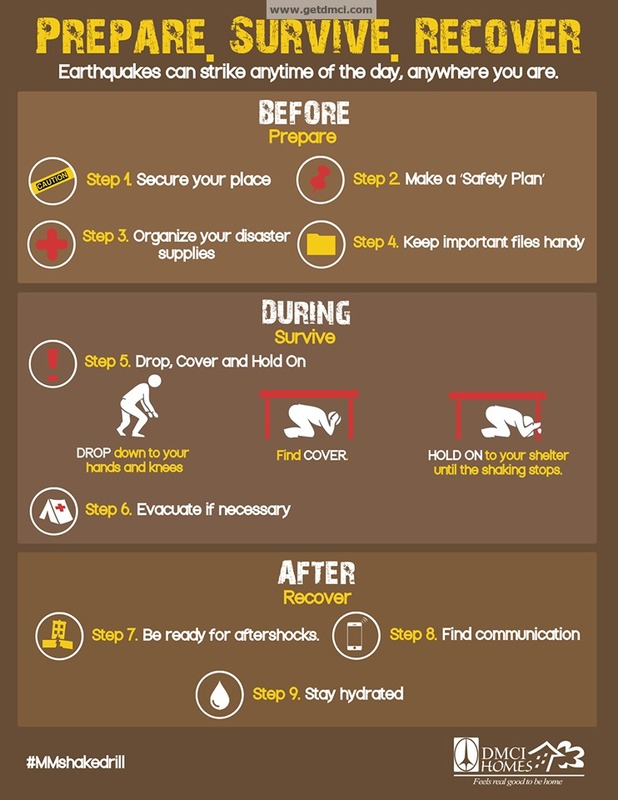 Learn how to prepare, survive and recover from earthquakes. Join BRISTLE RIDGE'S Advanced Tagging And Get The Best Unit!